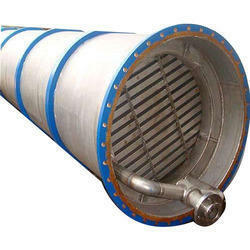 Our clients can avail from us precision designed range of Packed Column Condensers. Stringently monitored by a team of experts, these are manufactured using optimum quality raw material and sophisticated machines. Further, to ensure delivery of defect free range, the team conducts various checks and tests based on various parameters such as corrosion resistance, design, durability and others. Looking for Packed Column Condensers ?